Manuka honey is a type of honey produced when bees feed on flowers from the Manuka Tea Tree, a native plant of New Zealand. This sweetener, which allegedly has medicinal properties, can add calories to foods. A 1-tbsp. serving of Manuka honey contains 60 calories, or 3 percent of the calories you may consume daily if you follow a 2,000-calorie diet. Honey is rarely eaten alone, so be sure to adjust your total caloric intake accordingly. A 1-tbsp. serving of Manuka honey provides 17 to 18g of carbohydrates, most of which are sugars. MayoClinic.com recommends that you ingest 45 to 65 percent of your daily calories from carbohydrates that mostly come from whole grains and beans. 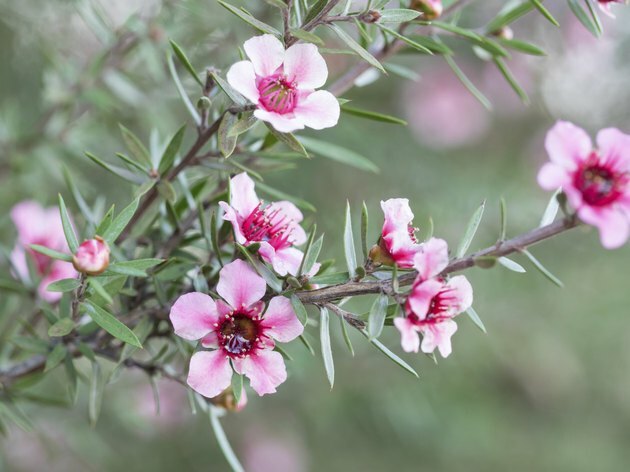 Research published in the November 2008 issue of the journal "Phytotherapy Research" indicates that rats administered Manuka honey produced a decreased incidence of colitis, a bowel disease. Clinical testing is needed to determine if Manuka honey will benefit humans in the same way.